We all know that your garage is commonly the room in your home with the most uncomfortable temperature. In the summer, stepping into your garage is like stepping into a swamp. The heat and mugginess hits you right in the face. Consequently, during the winter months, if you exhale in your garage you’ll likely see a puff of white as your breath freezes in front of you. But does it need to be like this? No, it doesn’t. All you need is a bit of insulation. It’s easier to regulate the temperature in your entire home if you don’t have one room that is constantly an undesirable temperature. You’ll save a lot of energy by having an energy efficient, insulated garage door. By having a properly insulated garage, less cold air will make its way into the garage. By that means, less cold air will make it into the rest of your home as well. The same goes for the summer months! An insulated garage door is just more durable than an uninsulated door is. The insulation that is inserted into the frame of your door creates a naturally more sturdy frame than a normal, single layer garage door. An insulated door doesn’t mean it’s going to be heavy or clunky, it’s just going to be more efficient and durable. Freezing conditions, and sweltering hot as well for that matter, can damage your car. If your garage isn’t insulated, you’re not really protecting your car from much more than if it were just sitting on the curb outside your house. 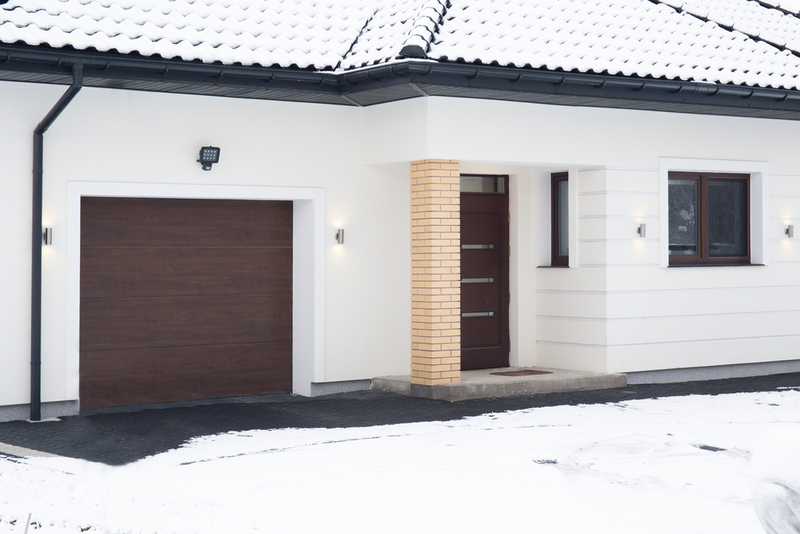 Having an insulated garage door protects your car from damage due to freezing temperatures. Things such as shorter lifespan of car batteries, low tire air pressure, and unreliable spark plugs are all possible damages caused by freezing temperatures. You know that rumbing within your entire home when the garage door? The one that wakes the toddler up from their nap and sets your dogs into a barking frenzy? Well, you won’t know that sound anymore if your garage door is insulated. Sure, it will still make noise. But it will shake your entire house? No, it won’t.